Sandra Dubach has been working above the clouds and travelling the whole world for more than 20 years. And there's one destination that appeals to her in particular: Bangkok. "I love the friendliness of the people in Thailand, the spicy food and the obligatory spa and beauty time," enthuses the 45-year-old. Sandra has compiled her perfect day for us, and shares her hotspots with us. Over eight million people, and skyscrapers as far as the eye can see: Bangkok is far and away the biggest city in Thailand. The best time to go is between November and April, as that's the best way to avoid the rainy season. Despite the city jungle, this city certainly also offers an abundance of tradition. SWISS flies to Bangkok (BKK) daily from Zurich (ZRH). The day begins with a visit to one of Bangkok's most popular destinations: the royal temple Wat Saket Ratcha Woa Maha Wihan (also known as the Golden Mount). "The journey there is already an adventure, as you either go across the water on a khlong boat, or by Skytrain over the city," explains Sandra. And once you arrive at the Buddhist temple, you have to climb up to it. It's on a hill that is 79 metres high. 300 steps and a few drops of perspiration later, you are richly rewarded for your efforts: "The views are simply breathtaking!" Time for even more culture. On to the Jim Thompson House – a somewhat different kind of museum. It is an entire complex, and consists of several traditional houses. "A lovely, picturesque jungle garden takes visitors around the entire museum site," says Sandra. Items to admire include the impressive works in Jim Thompson's extensive collection of silks. He was an American businessman who revolutionised Thailand's textiles industry. The Jim Thompson House is not only a place to be amazed, but also to relax. "Delicious lunchtime snacks and good coffee are served in a cosy café against the jungle backdrop." Now it's on towards Pathum Wan. This is where shopping dreams come true. The MBK shopping centre consists of more than 2000 shops, so it leaves nothing to be desired. "I found my favourite shops over a number of visits," says Sandra. The "Toy Studio" delights with countless model aeroplanes, and the "Lofty Bamboo" store attracts tourists and locals in equal measure with handmade Fair Trade products such as handbags and silver jewellery. After a serious shopping trip, it's time for some serious relaxation. There are beauty and spa treatments on offer everywhere in Bangkok. 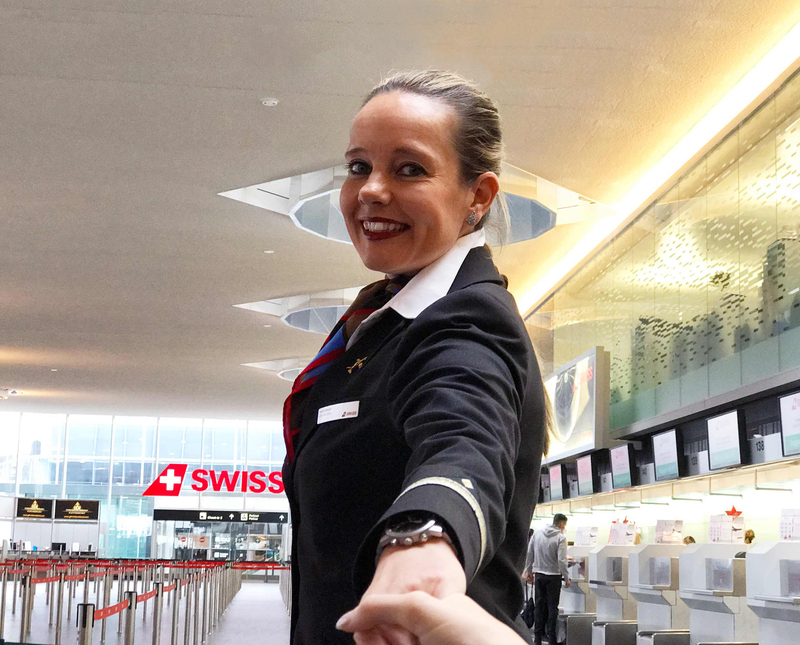 Sandra, however, has a very special favourite, and recommends the "Divana Spa": "The spa chain is run by former Thai flight attendants who used to fly for SWISS." You can enjoy being pampered by a range of different beauty treatments in this feel-good setting. Such a varied programme will leave you with quite an appetite. Sandra heads for the night market on the Chao Phraya river. "The best way to get there is by shuttle boat from the Skytrain station Saphan Taksin." A fabulous sea of lights by the river entrances countless night owls. The large warehouses on the banks of the river are home to numerous restaurants and shops. "I like going to the Baan Khanitha restaurant," says Sandra. It delights its guests with traditional Thai cuisine. "Unbelievably delicious!" And finally, Sandra recommends another look at this impressive city by night and from above. "The Sirocco Sky Bar has a large outdoor area with amazing views." It is one of the highest rooftop bars in the world. But take note: there is a dress code, and you'll only be allowed in wearing an elegant outfit.